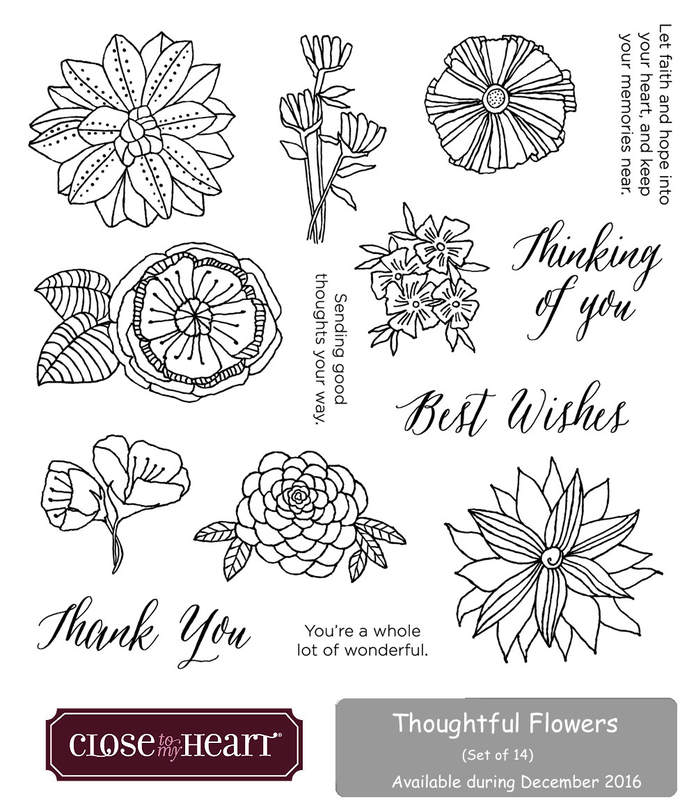 This month we are featuring a set of 8 fun flowers (perfect for coloring or embossing as you create your artwork) and 6 great sentiments for your handmade cards. If you have never participated in a blog hop before, it is just one big loop or creative ideas. 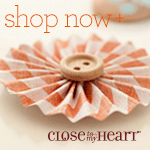 If you are coming from Wendy Coffman's blog, you are on the right track. If you are starting here, just look for the link at the end of my post and successive posts to see where to go next. 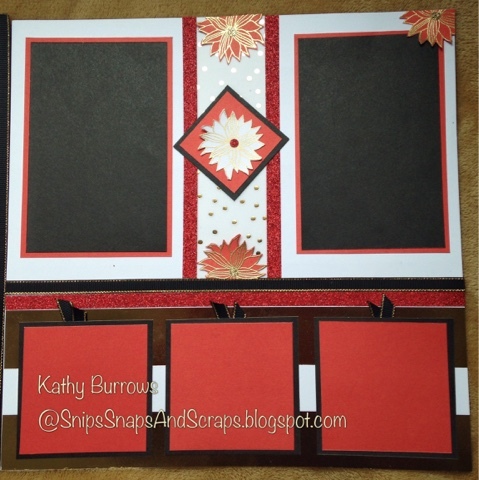 For my project, I only used one flower from this stamp set to create a Christmas poinsettia double page layout. I'm not sure the flower was meant to be a poinsettia, but it looks like one to me. an ordinary hand held paper punch. 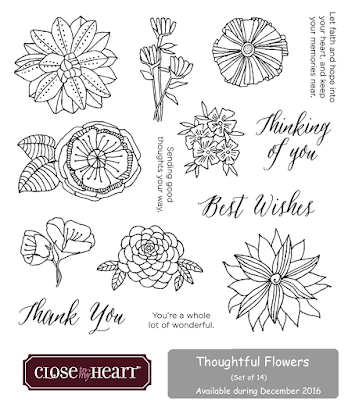 This versatile floral stamp set is only available until December 31. $17.95 as a stand alone item, or only $5 with a $50 purchase. 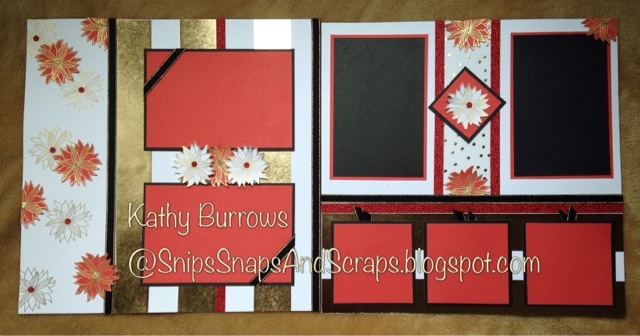 Any of the supplies listed above are linked to my website - just click the links. Join me in visiting the other consultants who are participating in this blog hop to see their wonderful idea. Next on our list is Vickie ODell's blog. 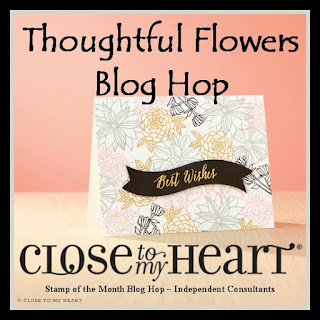 If for some reason you get lost along the way, you can find the entire blog hop list here to get back into the loop. Gorgeous layout! Love how you incorporated all the flowers. Beautiful layout. 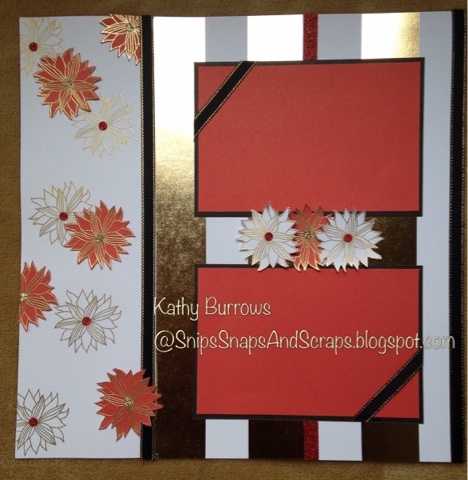 I lve the pairing with the metallic stripe paper. I thought it was a poinsettia too so this is a perfect Christmas layout! Great job with the positioning of the flowers, like that they are a bit spread out. Lovely layout! I love your use of the gold foiled paper. It looks so good behind the cranberry paper. Wonderful layout! Love the gold!